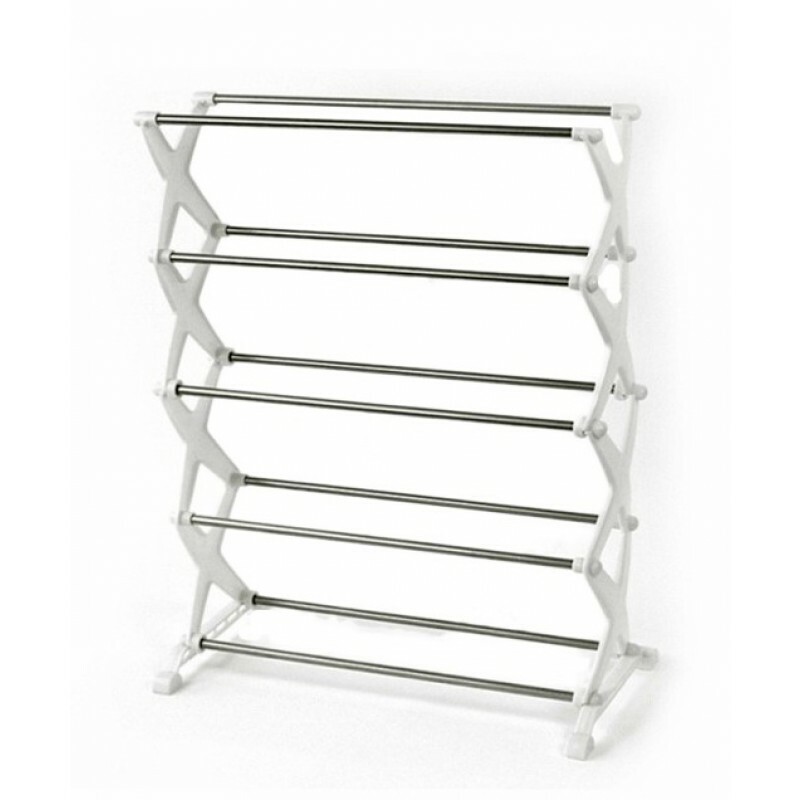 shoe-rack Portable 5 Tier Shoe Rack Shelf - Holds upto 15 Pairs Product #: 78 4.4 stars, based on 89 reviews Regular price: Rs 1499 Rs1499 (Sale ends 5 May! ) Available from: Megashop Condition: New In stock! Order now! Your collection can be displayed neatly within the bedroom or wardrobe. Keep your shoes protected from dust and dirt. Hard Plastic With Metal Rod.Easy to Fold & Store.